On this page you will find links to the uploaded photographs (and videos) of participants in the 2011 Raid. George & Julia Trevelyan were sailing “Schuitje” (built by Nick Barberton). Ian Sheldon and David Noble were sailing “What Not”, a Drascombe and won a prize for their determined rowing of it. Jean-Pierre and Edmond Cave were sailing “Baywtach “, a Lili 6.10 which is a cat ketch design by Gilles Montaubin. Their speediness won them a prize and, as Jean Pierre works in Yemen, he probably deserves a prize for the furthest-distance-travelled (ever) to attend any Raid. He’s kindly included a shot of “Molly” shooting past him at Morbihan earlier this year. Boudewijn Backx and Willem Leopold from The Netherlands returned for their 2nd English Raid but this time brought a Drascombe Coaster, “Suzanna”, in order to tackle the longer legs of this Raid. Andrew Wolstenholme has sent an album that includes shots of the Nab Tower and some taken from the top of Spinnaker Tower in Portsmouth. Andrew was sailing “Kite”, a boat that he designed and co-owns with Colin Henwood. “Kite” was built in that shrine to the art of the Boat-Builder, Henwood & Dean. 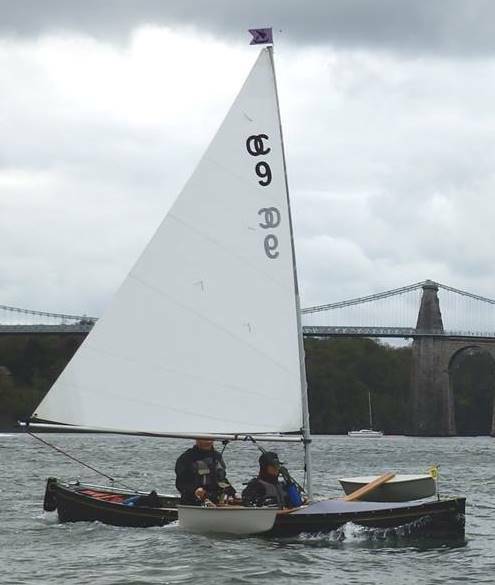 Jeff Curtis sailed in “Spark”, his BayRaider. Jeff and Celia had been in Morbihan earlier this year so no problems with Solent tidal streams.